The Home Health Living Lab (HHLL) - aims to be a guideline to develop sustainable home health services. This goal is achieved in phases, each of which defines intermediate goals. The first phase aims to identify barriers and develop a requirements analysis. The second phase aims to create the concept of HHLLs and to identify test houses in parallel. The third phase aims to realize a prototypical technical implementation and to evaluate the operation in the test apartments. The final phase aims to refine the operation according to the first results, to re-evaluate it in practice and concomitantly deduce the sustainable concept. The IBH Living Lab AAL deals with the removal of barriers in the use of Assistive technologies and services by people with assistance needs to keep them as possible can live independently and autonomously in the Lake Constance region for a long time. The Bodensee area is but not only an important living and economic area, it is also an important tourism area, where also guests with assistance needs like to spend holidays. The electrocardiographic method of heart investigation is one of the most common in cardiology. It is important to extract additional information on the electrical activity of the heart, using data from multichannel electrocardiographic leads, that include both recorded electrocardiosignals (ECS) and the coordinates of the electrodes placed on the surface of the human torso. In this area, we are interested in reconstruction of the surface distribution of the equivalent sources during the cardiac cycle at relatively low hardware cost. The application area is deep analysis of the cardiovascular system or e.g. predicting of sudden cardiac arrest (failure of the heart to effectively pump). The project envisages the development of a distance learning program on the topic: eHealth - Assistance for People with Disabilities. It is planned to develop the program itself, such as training courses and learning tools, including: content of courses, electronic interactive educational tools, online tests, graphics, animations, specialized terminology dictionaries, mobile applications, electronic resources for remote practice , self-learning distance courses that can be used on an online platform by students, other learners, patients and their families to improve knowledge of the disorders themselves, skills and deal with them and to obtain self-help where it is possible. Removing barriers to the use of environmental support Technologies by people with high and high assistance needs in the Bodenseeraum This single project is the framework project for the IBH Living Lab AAL (see Lab application), which is the dismantling barriers to the use of environment-assisted technologies by people with potentially increased or increased and high assistance needed in the Lake Constance area. The following measures against user, technology, network and market barriers for AAL solutions and always considered complete technical service combinations in the regional social and economic area. In the planned IBH Living Lab AAL, colleges of the university group "Internationale Bodenseehochschule" form a lab consortium to build on their previous efforts several Living Labs. It is continuing a contribution to a self-determined life of people with elevated and high level of assistance in the Lake Constance area. The aim of this project is to develop a scalable prototype for a home diagnostic system. In contrast to state of the art medical techniques like PSG, it focusses on pure non-invasive measurement techniques and on a reduced set of parameters captured: body movement, heart-rate variability and respiration rate. The PredTour project will collect streams of visitors and analyze the data. The aim is to predict local behavioral tendencies and better steer people flows. Under the PredTour project data will be recovered to the movement flows and patterns with an app. Following which measures can be identified to direct these flows. This should have a positive impact on the experience of the tourists who see the sights with less congestion and waiting times. At the same time the industry should benefit by more people can move smoothly through the city itself, which contributes to customer satisfaction. One goal of the collaboration is to detect and analyze a relationship between stress and healthy sleep. Individual stress as well as frequent sleep disorder seems to be related with chronicle diseases like diabetes, cerebrovascular disease or other psychiatric illnesses. However, most studies depend on questionnaire response and lack to capture (mobile) data over a long period including day and night. Besides capturing a huge amount of data, it needs to be interpreted and compared to patterns suited to detect stress and sleep quality in real-time. A second goal is to derive individual recommendations to improve a health life. Therefore, it is planned to detect a relationship between stress and sleep quality, which is not available on base of a data capturing model proposed for individual and personalized analysis. The goal of the project is to detect and analyze a person’s emotion using a sensor network. The detected emotion will be recognized in real-time and it will be rated according to a personalized metric. In order to provide feedback, a recommendation will be formulated and transferred to the user, respecting a user’s preferences and typical habits. Biometric and behavioral data are provided in parallel contiguous streams of data. The approach will investigate the level of intrusive measurements (if any) necessary, the amount of parallel data streams required and the possibility to base a detection, analysis and recommendation purely on non-intrusive sensors. The objective of this project is to develop a customized sensor composed of a wearable wristband or armband and a shirt equipped with intelligent clothing material. Both parts will be interfaced with the help of standardized prototyping platforms like the Intel Galileo or Intel Edison prototyping boards. The project would support our investigation on human long-­‐term monitoring of biosignal data based on self-­‐made ECGs and other commercial sensors. The objective of this project is to track movement patterns of tourists in the Lake Constance region. Tourists are equipped with Smartphone Apps and GPS loggers to log their movement and the kind of transportation. The objective of the project SmartSleep is to analyze a huge source of biometric data, to detect patterns and to derive relationships between a person’s behavior and sleep disorders. In order to capture the data, mobile sensors connected 24 hours per day will be used. Besides the movement, these sensors will detect additional parameters as input to clinical long-term studies. One task is to provide mechanisms pre-processing the data stream before pushing it to the backbone servers. So, even the patient may receive feedback in real-time. A second task is to provide data analysis components beyond current state of the art systems. The goal is to close the gap in existing data-mining algorithms by extending them with scenarios relevant for sleep disorders. The overall project result will provide a remarkable advancement over a purely statistical relationship analysis within a population and it offers a perspective to achieve a system efficiently customizable to individual needs of a patient without strong intervention. Prevention and treatment of common and widespread (chronic) diseases is a challenge in any modern society and vitally important for health maintenance in aging societies. Capturing biometric data is a cornerstone for any analysis and treatment strategy. Latest advances in sensor technology allow accurate data measurement in a non-intrusive way. In many cases, it is necessary to provide online monitoring and real-time data capturing to support patients’ prevention plans or to allow medical professionals to access the current status. Different communication standards are required to push sensor data and to store and analyze them on different (mobile) platforms. The objective of the workshop is to show new and innovative approaches dedicated to biometric data capture and analysis in a non-intrusive way maintaining mobility. Examples can be found in human centered ambient intelligence attributed with sensors or even in methodologies applied in automotive real-time conform mobile system design. The workshop’s main challenge is to focus on approaches promoting non-intrusiveness, reliable prediction algorithms and high user-acceptance. The overall goal is to develop and evaluate a cost-effective and user-oriented telemedicine solution to increase empowerment. Very different circumstances may lead to the desire or need to capture the current quality of life; examples are (sudden) dysfunction, decreasing potential or performance or temporal absence of certain abilities. The current quality of life depends on the abilities (sensorial, motoric, intellectual capacities or chronic diseases), the lifespan (i.e. the age) and the living environment (rural, cities, alone, in family, retirement home). In order to increase empowerment, the desired quality of life has to be stated. Individual subjective preferences are combined together with objective measured potential. The result will be the future quality of life. The distance between both points is the delta empowerment. The target state can be achieved by applying suited transformations. The TING-Net project proposes the design and development of a center to raise and maintain offers and networking-structures supporting empowerment in (rural) areas. A (local) center will be called TING: It is the interface between a member of a community searching for support and a (service) partner that offers a service fitting to the requirements of a member. The idea of TING-Net is to learn from different implementations in different countries and thus develop a universal but parameterizable core concept. In order to be successful, TING-Net cooperation partners are from very different domains spread over several countries: information and communication, health care, hospitals, legal services, therapeutic services and domestic services. TING-Net will help to provide a more attractive place to live; gather and structure resources and it will create a catalogue containing services for customized use case. 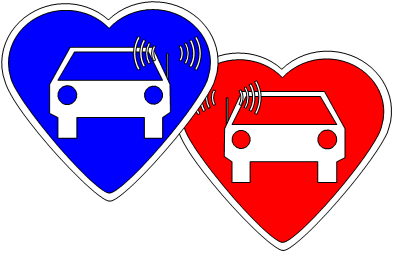 The workshop Ambient Intelligence for Telemedicine and Automotive domains (AITA) - aims to discuss leading edge contributions to the interdisciplinary research area of ambient intelligence (AmI) applied to the domains of telemedicine and driving assistance. AmI refers to human centered environments attributed with sensors. The development of AmI in the two application domains of the workshop shares several commonalities: the extensive usage of networked devices and sensors, the design of artificial intelligence algorithms for diagnosis, including recommendation systems and qualitative reasoning or the application of mobile and wireless communication to their distributed systems. Together with the presentation of common aspects of Ambient Intelligence, a further goal of the workshop is to stimulate synergies among both application domains and present examples. The telemedicine domain can benefit from methodologies in designing complex devices, real-time conform system design, audiovisual or computer vision system design used in automotive driving assistance. Furthermore, the automotive domain can benefit from the user-centric view, biometric sensor data design, multi-user data bases for aggregation and diagnosis using big data like used in telemedicine. The Artemisa project aims to define a software architecture for intelligent and assisted spaces with the target of develop applications and products that improve energy efficiency and promote sustainable development. Based on this architecture solutions will be developed in two areas, where energy efficiency is a priority. On the one hand, the automotive industry focuses much of their efforts in making engines more efficient and safer vehicles. However, his proposals does not seek active collaboration by the driver. In contrast, the subproject Artemisa seeks to offer advice to drivers detecting bad habits and making suggestions for improving them. On the other hand, energy consumption in lighting and refurbishment of the office buildings and homes is higher, so the project Artemisa will seek to reduce consumption in these settings from the analysis and learning the habits of the inhabitants,to automate control of lighting and conditioning in order to minimize consumption. The aim of the international project OSAMI is the design of a basic, widely applicable SOA-oriented component platform, its development, test and its provision as open source software. The project consists of a number of national sub-projects, each focussing on a certain field of application. OSGi and Web Services forms the technical basis of the OSAMI platform in order to implement distributed, dynamically configurable, vendor-neutral and device-independent solutions. The general aim of the project is the design and development of an interactive multiplatform system of audiovisual broadcast content, that it will be accesible and adapted to the all age consumers and it will be developed during two years. In order to do that, the idea to make the most of the network potentials that are used to broadcast non-authorized content is take as starting point, to create a audiovisual content broadcasting system by a lawful and controlled way and with a competitive cost for the consumers and companies. The goal is to boost and to consolidate new markets for the audiovisual and telecommunications industry and it will be an economiclly viable alternative thanks to comercials incomes that will be generated through an innovate approach. The goal of the project is to overcome or reduce the difficulties currently suffered by persons with special needs, particularly those living alone or in rural areas, when obtaining professional care and medical services, using innovative techniques both in communications and software, and based on open systems. The project will design and integrate eHealth and eCare services on a residential infrastructure including the home gateway and other special devices, connected to medical and care service providers as well as emergency facilities, and also to the person's relatives and friends. The main goal of this project id to develop a common vision of current challenges and base technologies of the three transversal domains identified in the Strategic Research Agenda of the National Technological Platform PROMETEO: Architecture, Middleware and Methodologies/Tools for embedded systems. This project is centered in the development of chipsets and middleware for the construction of application and service networks in the automobile. Specifically, sensor networks are used to measure environments factors and data for the driver and the passengers. The usage of these data for monitoring vital data of the driver, and to adapt the environment inside the car will improve the wellness of the driver, thus reducing the risks of an accident. Furthermore, these data can be used to detect health problems, enhance efficiency of professional emergency assistance, and reduce the environmental impact of the vehicle. The overall objective of MUSE is the research and development of a future, low cost, multi-service access network, allowing the ubiquitous delivery of broadband services to European citizens. The project integrates research in the following areas: access network architectures, access platforms, first mile solutions, cooperation among access network and home gateway and home network, and lab tests. This project aims at tackling the current technology limitations or bottlenecks encountered in secure transactions platforms and develops technology responses or breakthroughs that will leverage future security solutions needed for e-Security and e-Government applications in the next 3 to 5 years. Currently, high speed asymmetrical Internet access is widely deployed in Europe and world wide. This access type is tailored to Internet browsing and download, a rather passive type of user behaviour. In future, subscribers will become more and more active and will also upload significant amount of data into the Internet. PlaNetS will contribute to the overall goal of eEurope 2005, to provide cost effective broadband access to all European citizens based on a converged network unifying the current heterogeneous networks. On the private network side, PlaNets is developing transmission techniques in the domestic environment in line with the Home Gateway Initiative. Tasks covered are for example, the implementation of a home media server terminal prototype or the employment of the prototype to evaluate new user services enabled by GSB and to evaluate the key technologies and protocols necessary to support the converged network. development of real-time embedded systems in an era of digital convergence. The project adopts ideas from MDA (model-driven architecture), particularly the separation of application functionality and platform. A number of special techniques developed around UML and SystemC will also be integrated, to form a coherent methodology.